Because $749 is so much easier to spend than $1,000. We more or less knew that Apple was going to unveil the iPhone Xs and Xs Max today, but few of us were expecting the iPhone Xr. Apple wants to reach as many people as it can, so it has to make an iPhone people can (or want to) afford. Instead of sticking to previous nomenclature and calling it the iPhone XC, the company has finally updated its less-expensive (let's be real, it's not cheap) series. The iPhone Xr is the budget-friendlier alternative to the Xs flagships that will no doubt cost about $1,000. For the lower price, you'll have to make do with some compromises, like no dual cameras, but at least you'll get some new features. Where the iPhone Xs and Xs Max have Super Retina OLED displays that take up basically all of the front of each phone, the iPhone Xr has a 6.1-inch LCD screen that Apple said is the "most advanced ever in a smartphone." The company is going as far as to call this a Liquid Retina display, because why not? It's not as sharp as its Super counterparts, though, with a resolution that's just 1,792 x 828 here. Boo. Despite using only a single 12-megapixel wide angle camera on the rear, the iPhone Xr is capable of capturing pictures with artificial bokeh for soft backgrounds. Like the iPhone Xs, you'll also find smart HDR here, and you'll be able to adjust the depth of field after you've taken your picture too. 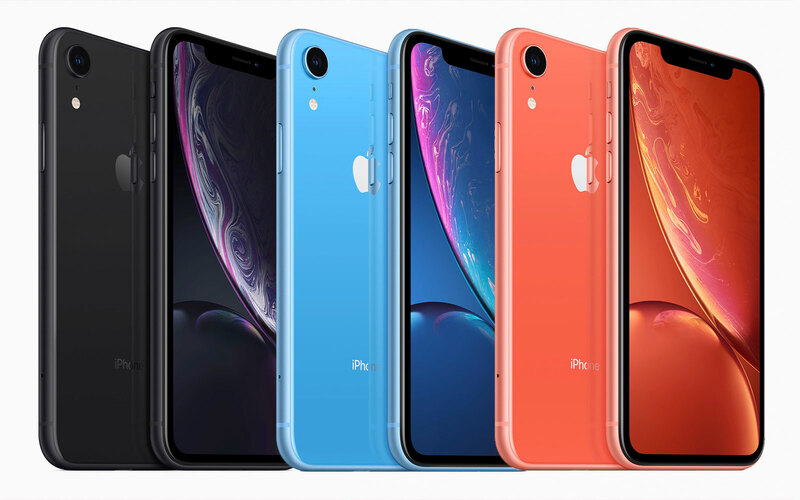 The iPhone Xr is made from aluminum and glass and comes in white, black, blue, coral and yellow, much like the iPhone 5c did too. Like the iPhone Xs, the Xr will be water-resistant, though at a lower IP67 rating. The Xr will also support dual SIM, with one physical card slot and a digital eSIM. 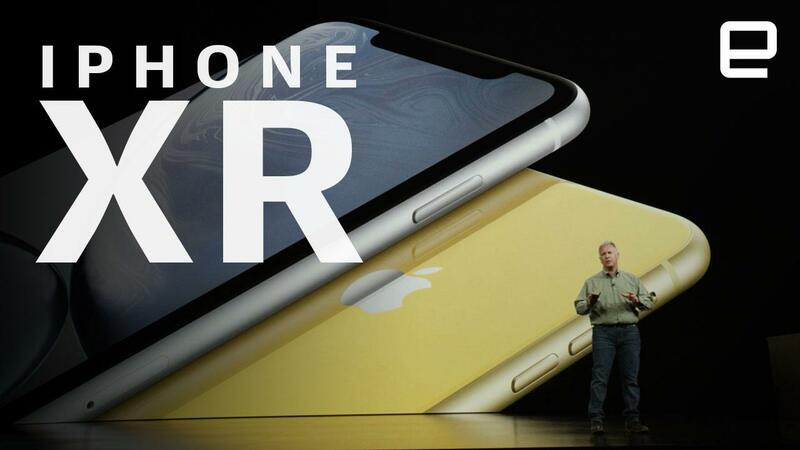 The iPhone Xr will be much more similar to the Xs than the numbered iPhones were. There is no longer a physical home button, and the screen supports gestures like Tap To Wake and swipe up to the home screen. There's also a TrueDepth camera up front for Face ID authentication -- using the same sensor setup as the iPhone Xs and Xs Max, even. Perhaps the best feature of the Xr is that it uses the new A12 Bionic chip with powerful performance benefits. Like the iPhone Xs Max, the Xr is supposed to last about an hour and a half longer than its predecessor. In this case, that's the iPhone 8 Plus (compared to the iPhone X for the Xs Max). You can pre-order the iPhone Xr on October 19th, with shipments beginning on October 26th, and it will come in six finishes and three sizes. It will start at $749 (£749), which is by no means affordable, but it is $250 cheaper than the iPhone X. If you've been waiting to get a notched, all-screen iPhone without spending a grand, this is probably an easier price to swallow. But if you were hoping for the dual cameras, you might be better off getting the iPhone Xs or even the iPhone 8 Plus instead.